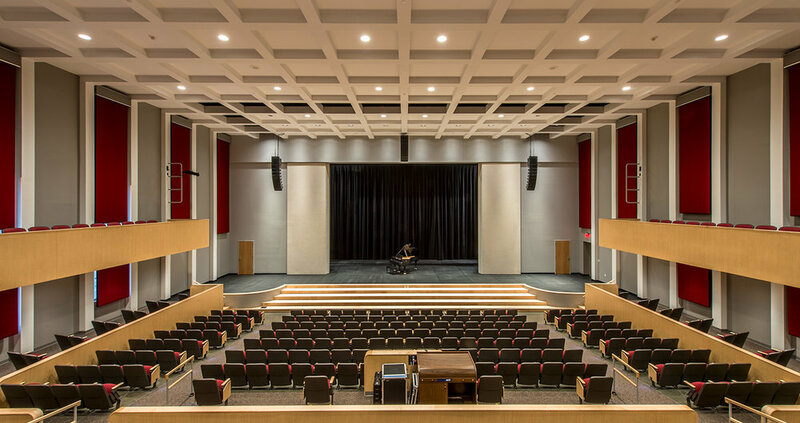 This new Fine Arts Center houses a 400-seat theater, greatly enhancing the facilities available to the school’s 600 pre-K through grade 12 students. The project was realized through an interesting combination of delivery methods. 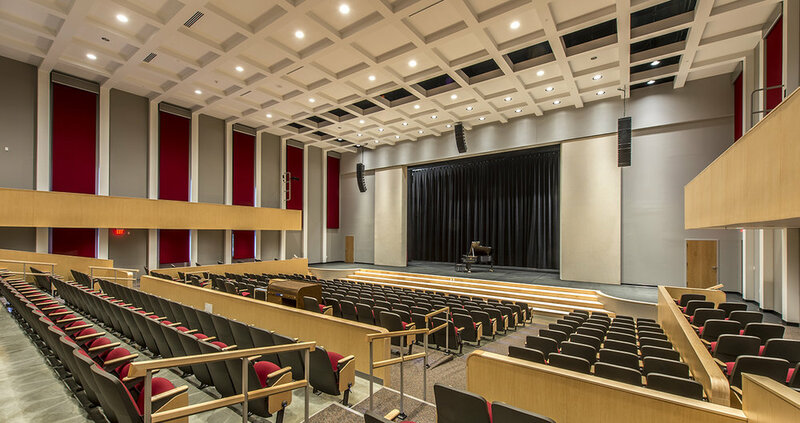 The school initially retained Dixon Salo Architects for design services. 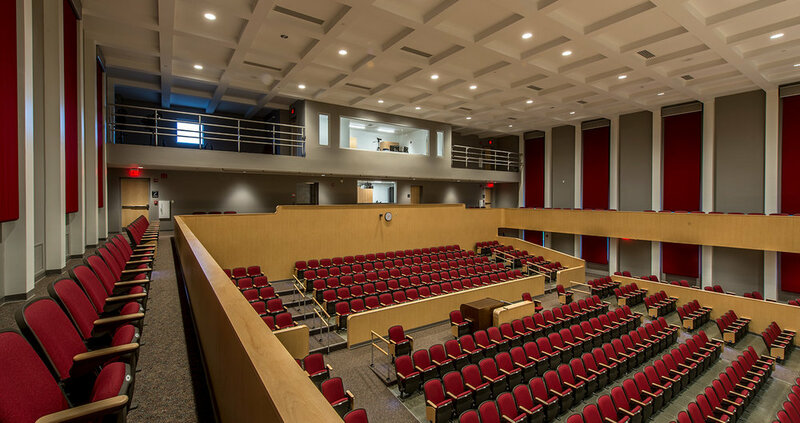 Once schematic design was complete, the school elected to solicit design build proposals for the base building. Builder JM Coull teamed with Dixon Salo and was awarded the contract, and Acentech and Nextstage Design were introduced to the project as members of the JM Coull team. We worked with the design build team to complete the base building. 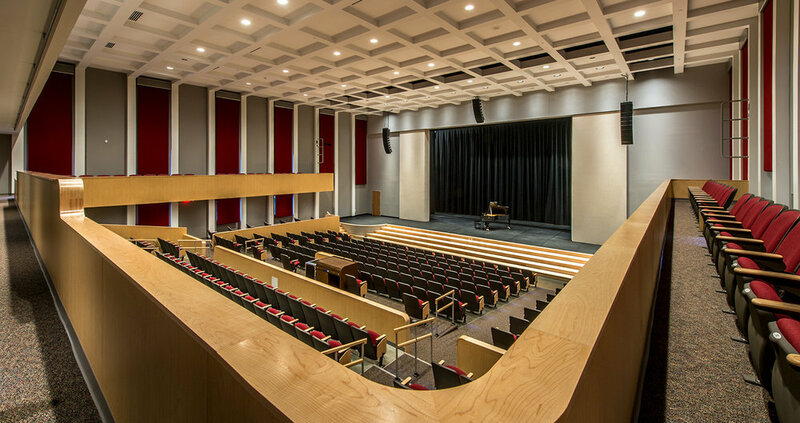 We also prepared contract documents for the theater equipment and seating, which were bid separately by the school. Open communication and a collaborative project team produced an award-winning building and a successful outcome for the school.